We have now had a full season without pesticides here in Ontario as a result of a provincial ban on their use for cosmetic purposes. It’s been a challenge on my lawn. I have been hand weeding the broadleaf weeds and putting a little extra fertilizer on to stimulate more growth. For some reason Round-up is not included in the ban and is still available at Lowes and Home Depot. I used some under my fence line, until I discovered that it was only supposed to be used for “noxious weeds.” It is safe to assume that would include thistles. A neighbor down the street applied Round-up to patches of clover and individual dandelions. His lawn was a mess after just a few days and created much interest up and down the street. I suspect the Russian lady with allergies and a loudly anti-pesticide nature may have called the environmental police. I saw some officious looking characters checking things out. There have been a few lawn care companies making applications in the neighborhood. When I questioned them they became evasive, probably suspecting that I was a spy for the government. Meanwhile on a nearby soccer pitch, the grass is cut at 3 inches but there are more weeds than grass. Few kids play soccer there. Miraculously, golf courses received an exemption from the new regulation but are under severe restrictions. They must become IPM accredited and join the Audubon program. In addition they must keep meticulous records of the pesticide applications and only spray as a last resort. Some superintendents I know have hired an extra assistant to take care of the administrative load. That’s the price to pay to squelch Dollar Spot. There is talk of compost tea helping grasses resist Dollar Spot. Everyone, even the politicians, knows that the pesticide ban is an emotional issue not based on science. Unfortunately, scientists have lost credibility ever since the atomic bomb was created. And guess where the votes are? When the socialist mayor of Toronto and the liberal premier of the province play golf together, as they have been known to do, I wonder what they talk about. Do they admire the weed-free pristine fairways? Do they occasionally sniff a tuft of turf? More likely they are comparing their horrendous budgetary deficits. I firmly believe it’s only a matter of time for the golf course exemption from the pesticide ban to be rescinded. When the socialist mayor of Toronto and the liberal premier of the province play golf together, as they have been known to do, I wonder what they talk about. Do they admire the weed-free pristine fairways? Do they occasionally sniff a tuft of turf? To my American colleagues I say, don’t be surprised if the above scenario is repeated south of the 48th parallel. You have now been warned. 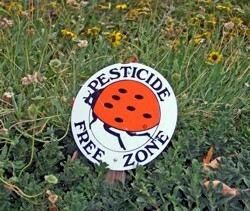 In my next blog I will address the issue of how golf courses can be maintained without pesticides. Two Montreal area superintendents were among 1450 cyclists who participated in The Ride to Conquer Cancer, a series of two-day regional cycling events across Canada to raise money for cancer research. Pat Moir at Hillsdale GC, the current president of the Canadian Golf Superintendents Association, teamed with Randy Scott of Elm Ridge Country Club in the 300 km Quebec ride from Montreal to Quebec City. Scott is a past president of CGSA. Both Moir and Scott are avid cyclists who often ride together on their racing machines. In preparation for the long distance ride, the men practiced extensively to build up their stamina. The bike ride is not limited to racers; recreational bicycle enthusiasts also participate in large numbers. For the latter, it just takes longer to get to end. Moir, 42, and Scott, 55, completed the run in less than ten hours and were in the top 10% of those who finished. At times they reached speeds in excess of 50 km/hr. Saddle sores? Not if you practice a lot and wear proper clothing, such as padded spandex pants. 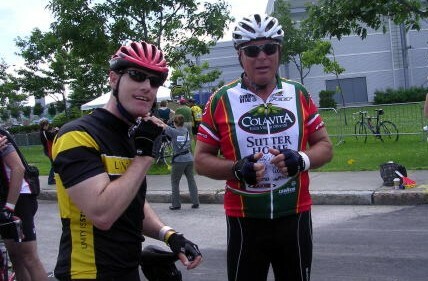 Pat Moir and Randy Scott prepare to ride from Montreal to Quebec City for cancer research. The distance from Montreal to Quebec City was covered over a two-day weekend during early July of this year. Similar rides take place during the same time frame across Canada and the USA. Millions of dollars are raised for cancer research in the process. Scott and Moir had pledges in excess of $14,000 which contributed handsomely to the overall total of $5.7 million for the Quebec ride alone. Preparations are already underway for next year’s ride. The pair will be joined by two other area superintendents. It’s been almost eight years since we presented the Magic of Greenkeeping in Caracas, the capital of Venezuela. In our audience were a number of superintendents and some committee members. Since only a few spoke English, we used a translator to get our points across. Afterward we played golf and mingled with our colleagues. At that time, Hugo Chavez had just recently been elected president with the enthusiastic support of the slum-dwelling masses. There was much talk of the surprise election among the country club crowd and most thought his victory would be short lived. It has not turned out that way. 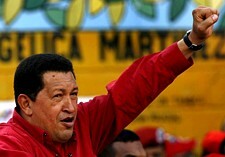 Chavez is firmly established and is just as noisy as comrade Castro once was in Cuba . I will not get into their politics because that’s not my domain. However, both men have had their effect on golf in their respective countries and perhaps to some degree in other parts of Latin America. 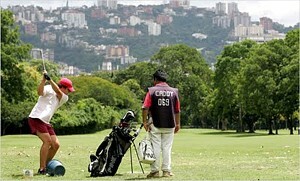 Meanwhile, Chavez has made it very clear on numerous occasions that golf is not part of the social scene in Venezuela. He has threatened to expropriate the golf courses and turn them into vegetable gardens for the poor. Curious as to how this conversion was coming along, I contacted my resource in that country, a former superintendent, now a consultant. My friend became embroiled in the politics of the committee system at his club and resigned his position. Since he is a member, he still plays golf there. My friend reports that the situation is indeed grim in his country. Chavez has closed all golf courses that belonged to the oil industry. These courses were built by American oil companies for the benefit of their workers many years ago. All other golf courses are being threatened with expropriation at the whim of the dictator. There are now 15 golf courses left in Venezuela. My friend tries to get by doing consulting work with some of these. His livelihood is precarious and he has made preparations to leave the country if the situation deteriorates further.